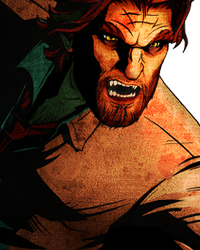 Just because the character on your avatar is dead it doesn't mean Clementine must die. Sure if the series continues...she will eventually die. But I hope it is not for a long time, and it had better be worthy of her character. If she does to save someone like Sarah or Ben...I will riot. 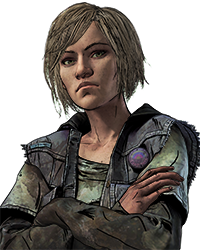 "The people who believe Clementine needs to die are the same sadistic idiots who clamor for AJ to be put down"
that's not truth! 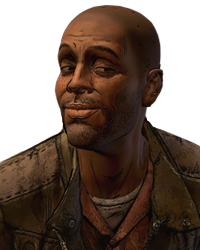 i hope clementine dies, but i don't want AJ dead, im against this idea, i don't have anything against him. I'll probably wait until the entire season is available on disc before I purchase it, and even then, I'll scan different forums an… mored online summaries to see whether or not Telltale killed off Clementine. And no, I don't care if that's cheating. The people who believe Clementine needs to die are the same sadistic idiots who clamor for AJ to be put down. With Kirkman now involved with the game, I'm terrified he'll grant their nihilistic cravings for murder and despair. If her death is handled well, that wouldn't be bad storytelling. Lee died and it furthered the plot of the series, allowing Clementine to truly learn how to survive from his advice and become her own person. Now, if they did a Sarah or an Omid, that would be awful writing and I'd be completely against it. I wouldn't it put it past telltale. They're mostly about shock value imo. It would be nice if they actually give you the opportunity to keep her alive and not go with her demise happening in a cinematic scene something you can only watch and do nothing about if they go that route. Lee already died for Clem, killing Clem in any way is bad storytelling. If her death is handled well, that wouldn't be bad storytelling. Lee died and it furthered the plot of the series, allowing Clemen… moretine to truly learn how to survive from his advice and become her own person. Now, if they did a Sarah or an Omid, that would be awful writing and I'd be completely against it. She'll die one way or the other. Eventually. If not from a bite, bullet, stabbing etc. then from a natural cause like disease or age. How's it bad storytelling if they decide to kill her off? I get you don't want to see her die and at the moment, neither do I, but to say it's bad writing just because you don't like it, is a bit over-the-top. If her story ends and they've fleshed out her character, I don't see an issue with her dying, so long as it successfully serves the plot TT created, such as seen with Lee's death. The Death of Clementine should be based off the players previous choices previously. He thinks Clementine is responsible for the death of Lee and anyone she groups up with. So he feels Clem should pay. That's why he hates her. You said it yourself "killing her in any way is bad storytelling". You've assumed that if they'll kill her in any way that it'll be a bad decision. Maybe, maybe not but that doesn't change the fact that she'll die eventually. Bad storytelling or not, she will. 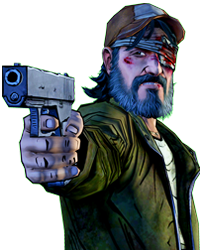 Give me 3 scenarios where Clem dies and I'll show you why each one of them is bad storytelling, It'll also show you how any other death at this point in the story would be bad storytelling as well. How's it bad storytelling if they decide to kill her off? I get you don't want to see her die and at the moment, neither do I, but… more to say it's bad writing just because you don't like it, is a bit over-the-top. If her story ends and they've fleshed out her character, I don't see an issue with her dying, so long as it successfully serves the plot TT created, such as seen with Lee's death. doesn't change the fact that she'll die eventually. Bad storytelling or not, she will. I still fail to see how this is any relevant to the conversation. 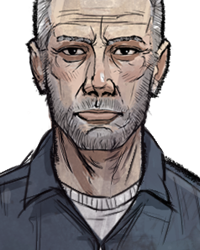 It's not like Season 3's ending has any chance of being a 80 year timeskip where Clem finally dies of old age, so I don't know why you make that point, it's completely irrelevant. You said it yourself "killing her in any way is bad storytelling". You've assumed that if they'll kill her in any way that it'll b… moree a bad decision. Maybe, maybe not but that doesn't change the fact that she'll die eventually. Bad storytelling or not, she will. It's not my job to come up with ideas for Clementine's death scene, but if you're so convinced her possibly dying is bad writing, why don't you actually explain what your reasoning for that may be? I personally believe death can often be a way to show the high stakes involved in a situation our characters may be facing, but it can also be a way to create an emotional response from those in the story and from us, as players. Death's an unavoidable fact in real life, so when a mature work of fiction is trying to convey realism or to allow itself to be taken seriously, death often becomes a common theme. Though I'm interested to know why you believe death in the game is such "bad storytelling". More likely that the dude will die to be honest. Build up a attachment to him and then have him die off. IDK...this is kinda why I wished they had Clem and Sarah together. So, if she does it can become about a struggling Sarah coming to grips with the world and it will just give a different perspective. I just don't think they are thinking that far ahead though. So you probably will have a more simple conclusion and one that could easily be taken as "the end". Well, for startes you didn't specified that killing her off in Season 3 is bad in your first post. You said in general that "Killing her is bad storytelling". Second, I fail to see why you think it is bad storytelling. doesn't change the fact that she'll die eventually. Bad storytelling or not, she will. I still fail to see how this is any… more relevant to the conversation. 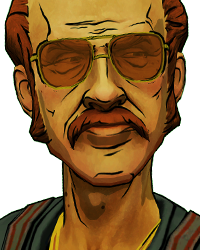 It's not like Season 3's ending has any chance of being a 80 year timeskip where Clem finally dies of old age, so I don't know why you make that point, it's completely irrelevant. lmao he makes these random irrelevant comments from time to time, he just did the same to one of my comments down there. So your saying my comment is redundant? Gosh, I dont even want to think of what that makes your comment. Second, I fail to see why you think it is bad storytelling. Then start thinking some more. HINT: It has to do with Season 1. Well her story has to end and we all know nothing can save world from zombies. Yes, i think she will die. What protagonist-killing situations can you make in this universe that isn't "Killed by Villain #10" or "Killed by zombie herd with no chance of escape"
but it can also be a way to create an emotional response from those in the story and from us, as players. Clem is as unkillable as Carl is in the main series. It's not my job to come up with ideas for Clementine's death scene, but if you're so convinced her possibly dying is bad writing, … morewhy don't you actually explain what your reasoning for that may be? I personally believe death can often be a way to show the high stakes involved in a situation our characters may be facing, but it can also be a way to create an emotional response from those in the story and from us, as players. Death's an unavoidable fact in real life, so when a mature work of fiction is trying to convey realism or to allow itself to be taken seriously, death often becomes a common theme. Though I'm interested to know why you believe death in the game is such "bad storytelling". What? Because they've killed of Lee, it means they won't do that with Clementine? Or even if they'll, it'll be a bad storytelling? Sure, if you say so. I'd never consider it to be a case but I guess everyone thinks differently. Second, I fail to see why you think it is bad storytelling. Then start thinking some more. HINT: It has to do with Season 1. Zombie apocalypse scenarios never have a happy ending or conclusion. It's always bleak, depressing, and leaves you with an empty feeling or a feeling of dread. They could totally change that. I don't think they will though. If you have to make a choice between clem and the guy i'm picking clem without hesitation. Maybe you will get to choose who dies in the end. TTG also loves to create emotional endings and since clem is so beloved and was there from the beginning... I don't think she will die but I wouldn't be surprised if she dies. It makes sense for Clem to be killed since there are two protagonists. 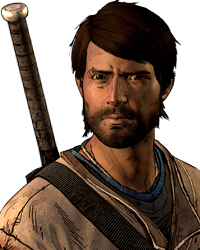 Instead of making Javier exactly like Lee/Luke whereas he gives his life to save her, they could make him our vessel of vengeance once our beloved Clem has been murdered. That would make a good Season finale (if Season 3 is the last season). 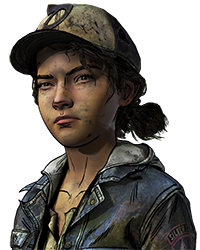 Unlike season 1, I think this Season should end with many many many different endings; some where Clem dies, some where she doesn't, some where we revisit Lee, or others where we find a new community etc. That way literally EVERYONE should be satisfied with their ending and it would end the series nicely for everybody. To be honest that is one of the main reasons why I initially thought Season 2 would be the last. Zombie apocalypse scenarios never have a happy ending or conclusion. It's always bleak, depressing, and leaves you with an empty f… moreeeling or a feeling of dread. They could totally change that. I don't think they will though. If you have to make a choice between clem and the guy i'm picking clem without hesitation. I agree with what you said. Games where your choices supposedly matter should definitely be the case when choosing whoever you want to live and whoever you don't want to live either alive or not alive. Everything they say and do should be up to you. Who they talk to etc. Imo. That would make a good Season finale (if Season 3 is the last season). Unlike season 1, I think this Season should end with many m… moreany many different endings; some where Clem dies, some where she doesn't, some where we revisit Lee, or others where we find a new community etc. That way literally EVERYONE should be satisfied with their ending and it would end the series nicely for everybody. To be honest that is one of the main reasons why I initially thought Season 2 would be the last. No they won't.....but we will or already have based on our choices for the character! Just because we don't like the outcomes ppl think our choices haven't counted? Foolish internet ..... (hides behind couch) you'll see it will be our doing...(dodges rock) just sayin... hopefuly there will be a legit way to make the "right choices" and avoid it....doubtful but we'll see (tomato drips down face) And I could feel the hate before typing this, but we can't judge something till its over. TTG folks have confirmed that they will continue to make TWD as long as the 'fans' support it. If the fans are split who knows. But no way Clem dies in S3 regardsless. EP 1 Season 4, that's probally up to us! Rant over! Or narrowly for some is more like it. There's a number of ways a character can die besides being killed by the villain or by zombies, such as seen with Katjaa, Larry, Luke, and Kenny/Jane depending on your ending. So, for you to say that there's only two possibly scenarios for a death is just, simply, wrong. I disagree. 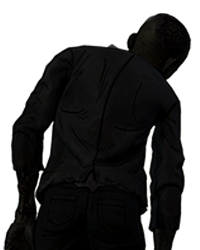 Clem is a completely different character from Lee and there are several different approaches they can take if they decide to kill her off, which wouldn't mimic Lee's. Considering TT are capable writers, they could certainty pull off the death of a major protagonist in the series. I've yet to see anyone from TT confirm that Clementine is un-killable, so I'd love to see the evidence of this being true? And possibly you backing up your reasons for why it'd be "bad storytelling" if Clem dies? I personally believe death can often be a way to show the high stakes involved in a situation our characters may be facing … more What protagonist-killing situations can you make in this universe that isn't "Killed by Villain #10" or "Killed by zombie herd with no chance of escape" but it can also be a way to create an emotional response from those in the story and from us, as players. Already done with Season 1, repeating the same theme is bad storytelling Clem is as unkillable as Carl is in the main series. Cool, let's kill off the most important character in the game series by making her commit suicide after seeing AJ or someone dear to her get devoured by walkers. You would instantly get fired for suggesting that in the writer's room. Cool, let's kill off the most important character in the game series by smashing her brains with a heavy object in order to save some random unimportant characters that will end up dying anyways. You would instantly get fired for suggesting that in the writer's room. Cool, let's kill off the mos- wait a minute, are you seriously saying that Luke's death, one of the worst Telltale deaths of all time, almost as bad as Nick's death, is also a possible way to kill off Clem? THE MOST IMPORTANT CHARACTER IN THE GAME SERIES, and you honestly believe that would be good storytelling? You should have told me you have no idea what constitutes good storytelling so I didn't waste my time responding. You do realise none of those are suggestions of how I'd want Clem to die? They were examples to prove that your argument of there only be two death scenarios in the Walking Dead was wrong. As in a response to this comment "What protagonist-killing situations can you make in this universe that isn't "Killed by Villain #10" or "Killed by zombie herd with no chance of escape", remember? I highly suggest you read my comment again because right now, all you're doing is proving you have no idea how to comprehend a discussion. Katjaa Cool, let's kill off the most important character in the game series by making her commit suicide after seeing AJ o… morer someone dear to her get devoured by walkers. You would instantly get fired for suggesting that in the writer's room. Larry Cool, let's kill off the most important character in the game series by smashing her brains with a heavy object in order to save some random unimportant characters that will end up dying anyways. You would instantly get fired for suggesting that in the writer's room. 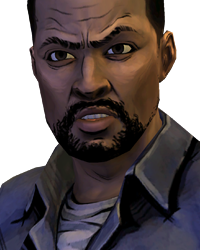 Luke Cool, let's kill off the mos- wait a minute, are you seriously saying that Luke's death, one of the worst Telltale deaths of all time, almost as bad as Nick's death, is also a possible way to kill off Clem? THE MOST IMPORTANT CHARACTER IN THE GAME SERIES, and you honestly believe that would be good storytelling? You should have told me you have no idea what constitutes good storytelling so I didn't waste my time responding. I didn't even say that, bad reading comprehension on your part. You do realise none of those are suggestions of how I'd want Clem to die? They were examples to prove that your argument of there … moreonly be two death scenarios in the Walking Dead was wrong. As in a response to this comment "What protagonist-killing situations can you make in this universe that isn't "Killed by Villain #10" or "Killed by zombie herd with no chance of escape", remember? I highly suggest you read my comment again because right now, all you're doing is proving you have no idea how to comprehend a discussion. Yeah, I've given up on by now. The fella's only argument is "it's bad writing because I don't like it", so I'm done with him. 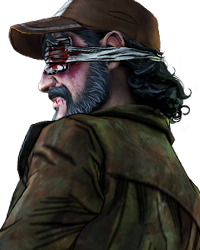 Whats the best way to end Clem's story? They better not. That is all.